We have created this statement to demonstrate our firm commitment to respecting your privacy and safeguarding your data. We collect data in order to provide you with the most efficient and personalised service possible. We do not collect personally identifying information about you unless you choose to provide such information to us. The personal information we collect, process or use is treated securely and in accordance with the Data Protection Act 1998, the Privacy and Electronic Communications Regulations 2003 and the General Data Protection Regulation 2018. Whenever you give us personal information you are consenting to its collection and use in accordance with this policy. When you actively give us permission to contact you about certain activities, such as our marketing or fundraising activities. When it is reasonable from the context to conclude that the person consents to receiving direct marketing. Britten Sinfonia uses implied consent as a lawful basis to contact certain donors with relevant fundraising communications. We will only communicate with donors on this basis if they have donated at least three times in the preceding three year period, and have not objected to receiving such fundraising communication. In certain circumstances, we need your personal data to comply with our contractual obligations to you. When we process your data in a way which you would reasonably expect us to do when you provided it and which does not materially impact your rights, freedom or interests. When you sign up for our e-newsletters, mailing list or otherwise provide us with your information we will retain your name, contact details and contact preferences. If you have agreed to your information being shared with Britten Sinfonia when purchasing a ticket from one of our partner venues we will also record details of the performance you attended. When you make a donation we will record details of when you made your donation, details of the donation and your Gift Aid status. We may also ask you to provide details about your current interests and activities, and information regarding your spouse/partner where appropriate. - the information listed in the 'personal information we collect and process' section above. Some of the information which we collect from you (for example where you apply to take part in one of our projects) may constitute sensitive personal data. We will only ever use this in accordance with this policy and shall maintain necessary measures to protect this information and its confidentiality. You can choose how Britten Sinfonia communicates with you, and what communications you receive, these are called preferences. Our forms have clear marketing and fundraising preference questions, allowing you to opt-in to receive both marketing and fundraising communications, one or the other, or neither. You can also tell us if you wish to receive communication by email or post. You can change your preferences at any time by changing the relevant settings in My Profile or contact info@brittensinfonia.com. Your personal information might be passed to a third party if they need it to fulfil your order(s) for our goods and services, to execute the communications we send to you or to process a donation. We do comprehensive checks on these companies before we work with them, and put a contract in place that sets out our expectations and requirements, especially regarding how they manage the personal information they have collected or have access to. Examples of these third parties include our bank (in order to process Direct Debit and other payments), mailing houses (for distributing our marketing materials), our bulk email distribution service provider, and audience analyses and data cleansing suppliers, for example to access the Post Office National Change of Address (NCOA) database. Except as set out in this policy, we shall not disclose your personal information unless obliged to, or allowed to do so by law, or where we need to in order to run our business (e.g. where other people process information for us). In such circumstances, we ask those people to give us confidentiality or non-disclosure undertakings. While we strive to keep your information as safe as we can, the transmission of information via the internet can never be completely secure. Although we will do our best to protect your personal information, we cannot guarantee the security of your information transmitted to our site; any transmission is at your own risk. Once we have received your information, we will use strict procedures and security features to try to prevent unauthorised access. We endeavour to keep your personal information accurate and up to date. If you become aware of errors or inaccuracies, please email info@brittensinfonia.com or update the information we hold about you by using the My Profile section of our website. Where possible we use publicly available sources to keep your records up to date. For example, the Post Office National Change of Address (NCOA) database and information provided to us by other organisations as described in this policy. We would really appreciate it if you could let us know if your contact details change. 2. The correction of your personal data when incorrect, out of date or incomplete. 3. That we stop using your personal data for marketing and/or fundraising (either through specific channels, or all channels). 4. That we stop any processing of your personal data after you withdraw that consent. 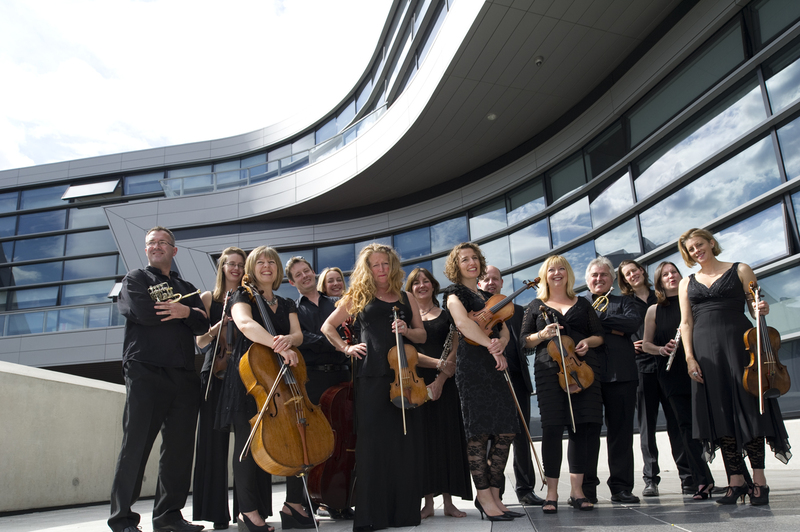 - To ask for your information please contact The Data Protection Officer, Britten Sinfonia, 13 Sturton Street, Cambridge, CB1 2SN or email info@brittensinfonia.com. - To ask for your information to be amended please update your Profile or contact info@brittensinfonia.com If we choose not to action your request we will explain to you the reasons for our refusal. You have the right to stop the use of your personal data for direct marketing and/or fundraising activity through all channels, or selected channels. We must always comply with your request. Where we are working with you individually, or over a sustained period of time, for example in one of our Creative Learning projects or through Britten Sinfonia Academy, we may need to collect additional information from you including, for example, medical details, educational attainment, details of prior artistic experience and details of any learning difficulties or special access requirement. This information will be used by our project team in order to plan and deliver the very best artistic and educational experiences for you, to keep participants safe throughout their experience with us, and may be passed to emergency services for use should any emergency situation arise. We will always seek your consent for the above at the time we collecting your information, and, where we need to collect this information in respect of children or young people we will ask parents or guardians to provide the information and consent to its use for the purposes described. If you have any questions at all about the ways in which we collect and use your personal information please contact us at info@brittensinfonia.com at any time.